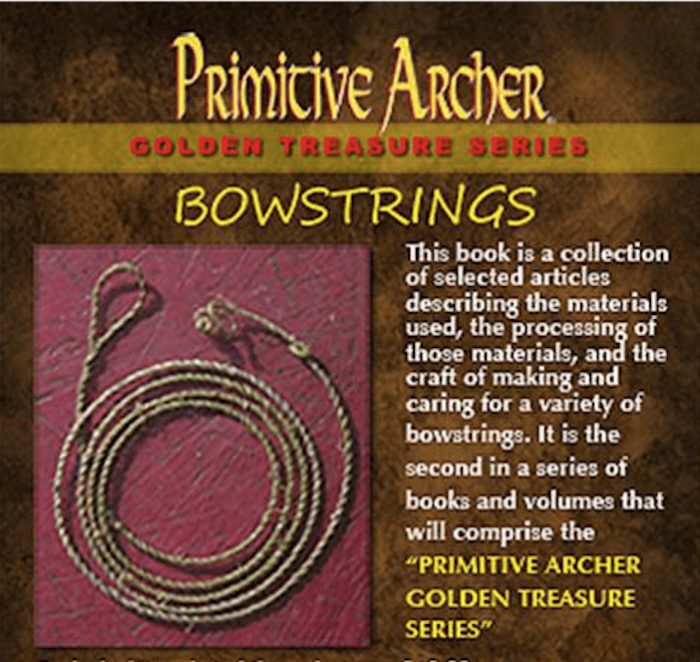 This book is a collection of selected articles describing the materials used, the processing of those materials, and the craft of making and caring for a variety of bowstrings. 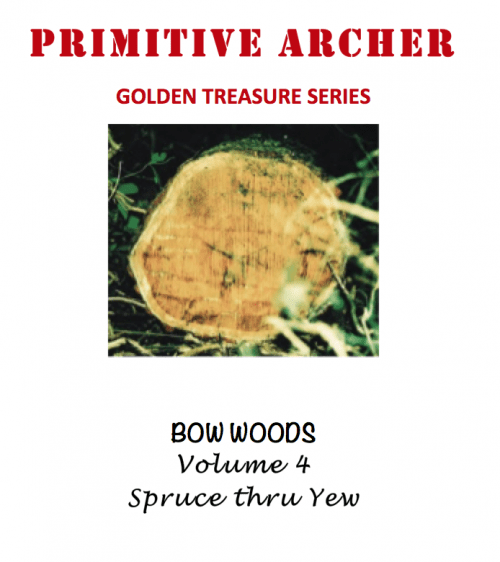 This book is a collection of selected articles describing the materials used, the processing of those materials, and the craft of making and caring for a variety of bowstrings. BOWSTRINGS is packed with articles on collecting and processing sinew, flax and other materials used in making bowstrings as well as the step by step procedures in making a number of different types of strings such as The Flemish Splice String, a Primitive Flax Bowstring, The Dogbane Bowstring and The Mary Rose Bowstring. 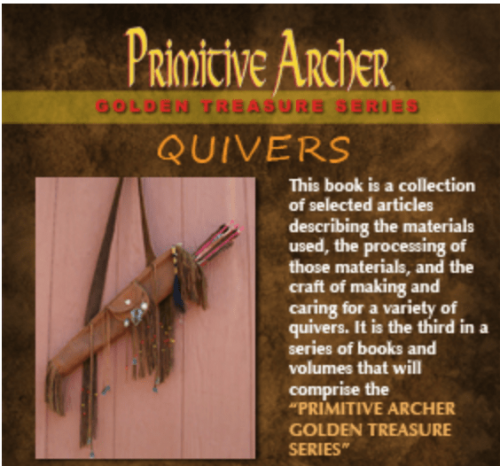 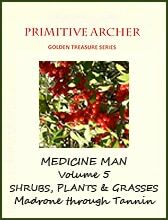 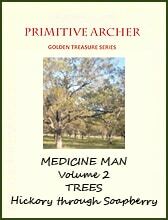 This is the second of a series of such collections compiled toto books and volumes that will comprise the “Primitive Archer Golden Treasure Series”.